As I mentioned in an earlier post, the New World Library sent me a free review copy of Ellen Kanner’s new book Feeding the Hungry Ghost. In all honesty, I probably would never have thought to pick this book up and read it. First, I’ve never read a memior-style cookbook before and I didn’t know if I would like it. Second, the title didn’t really peak my interest and I wasn’t sure from the descriptions that this was the kind of book I would like. However, I had a free copy, so I might as well give it a chance, right? And boy I’m glad I did! This book is a gem. The recipes she gives us, 50 in total, are wonderful. Most of her recipes seem fairly easy to make, use ingredients you probably have on hand, and vary in flavor. The most likely thing you are going to need to buy is a spice here or there. While many vegan cookbooks I have read try and tell us how we can re-create our favorites in a vegan version, this cookbook just gives you straight up hearty vegetarian food. Plus, I found that I could make quite a few of these things in Senegal. I’m happy I have this book, because I think it will give me ideas on how to make less expensive day-to-day vegan food. The stories she told to go along with the recipes were also fun and interesting. She does a good job of describing the recipes and fitting them into a story. In fact, if you like reading food blogs, you will probably enjoy reading her book. My only complaint with this book is that sometimes her arguments seemed poorly supported. For example, she would talk about how important it is to eat local and the following recipe involved mangoes. Later in the book it became clear that she lives in a part of Florida where mangoes grow. However, for most of us in the U.S. mangos are not local, and if you don’t point out that they are local where you live, it is confusing. In conclusion, I highly encourage you to pick up a copy of this book and check it out. In the meantime, let me give you a little teaser: I already talked about her fabulous Veggie Bhaji in my Vegan Valentine’s Day Feast post. So today I will give you a recipe for what she calls “well-being in a bowl”. My friends describe it as a vegetarian chicken noodle soup. 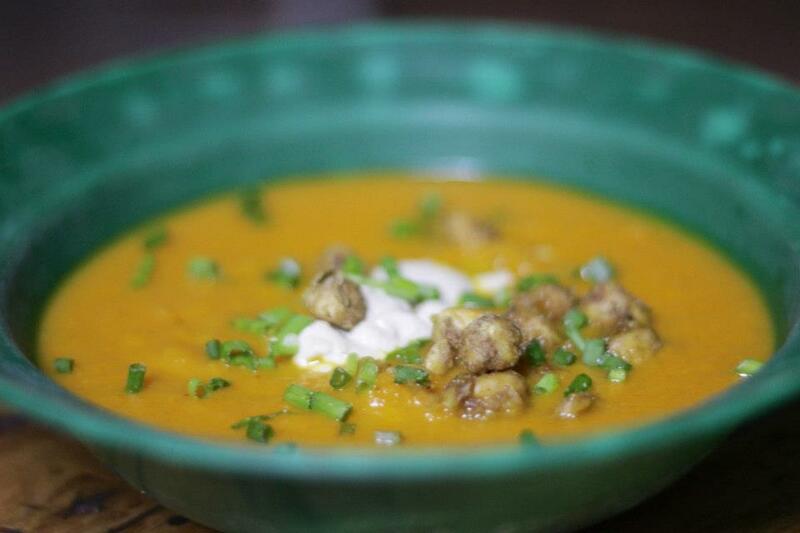 It is comforting and healthy feeling: the perfect bring a sick friend soup soup. In a large stockpot, heat the olive oil over medium-high heat. Add the onion and turmeric. Cook, stirring, until the onion softens and turns golden, a few minutes. Add the zucchini, red bell peppers, celery, and, if you’ve got it, the saffron or ras el hanout. Cook, stirring occasionally until the vegetables become tender, 5 to 8 minutes more. 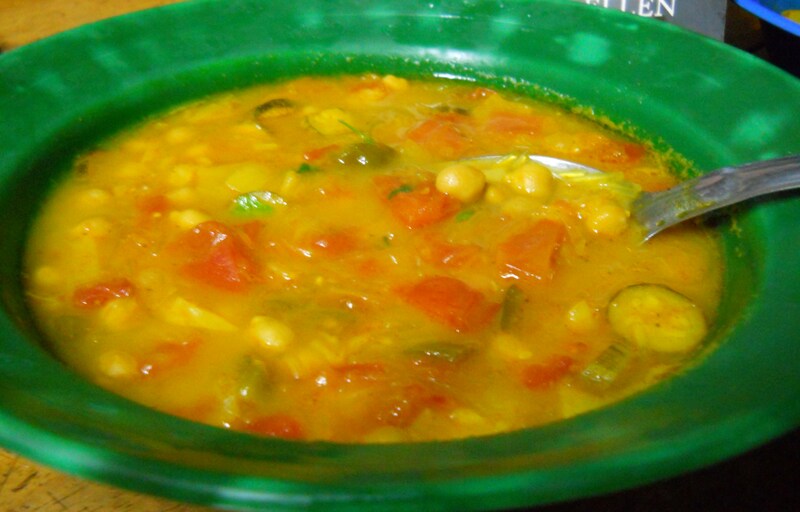 Stir in the tomatoes, chickpeas, and broth. Reduce the heat to medium-low and simmer, uncovered, 45 minutes to 1 hour. Add the broken pasta, yeast mixture, and lemon juice and stir to combine. Continue cooking 3 to 5 minutes more, until the angel hair softens, stirring occasionally. Season with sea salt and pepper. Just before serving, stir in the cilantro. Serve with extra lemon wedges, if desired. note: New World Library sent me a free copy of this book but the views expressed here are my own. In no way was I pressured or encouraged to write a certain way. Funio is an incredibly nutritous grain grown here in the South of Senegal. 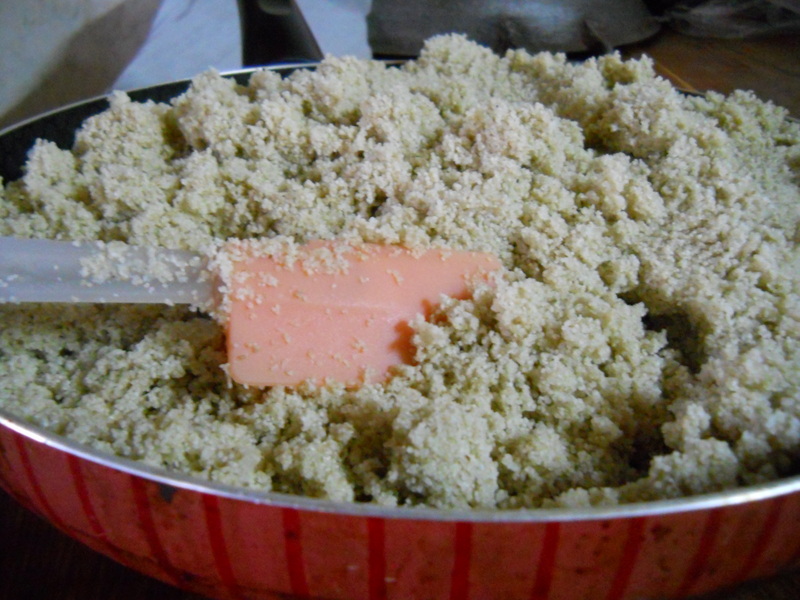 It is related to the millet family and tastes a little bit like quinoa, but has more of a couscous consistency. 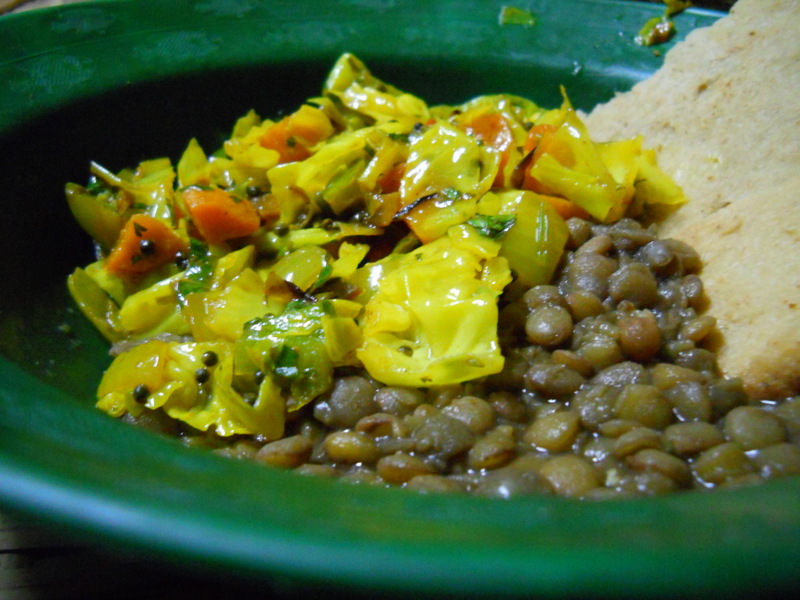 Here in Senegal it is often served with a simple onion tomatoe and meat sauce. If you want to defy tradition, I like to eat it with sauteed vegetables for a healthier-than-rice-salad option. Perhaps use it as a substitute for couscous in tabouleh? (This is for 1 package of Funio (about 1k), it serves 10-15 people). 1. Add hot water (2-3 cups or half a liter or 3/4 tin cup) it expands. let sit 3-5 minutes. 3. Add 2 cups of water plus 1 cup of salty water (1-2 tsp salt). in total 3/4 tin cup of water. Let sit for 3-5 minutes it will expand and become lighter. This past week I took a trip up to Matam (the North of Senegal) to say goodbye to my old home-stay family before I head back to the U.S. in May. It was wonderful to see my family again, and the villagers were happy to see me. It was a bittersweet couple of days. My family made me so much wonderful food and I got to hang out around the house and hold my Aunt’s newborn baby. However, the goodbyes were extra hard because I don’t know if I will ever see these people again, and they have no control over when they will see or hear from me again. My best friend from village tried to convince me to move to Senegal permanently. When I turned this down, she made me promise to take a few pounds of beans from her fields and a huge squash with me. As I was leaving, my family also made me take squash from their fields. Thus, I showed up at our regional house full of squash, beans, and mixed emotions. Here I met Meredith, to whom I also have to say goodbye. She is finishing her service in Senegal next month and moving to Boston. Although I have hope of seeing her again stateside, it is hard to think we won’t be hanging out in Senegal anymore. As a goodbye present, she invented this recipe with the squash I brought from village. This spicy, savory, Morrocan style stew is pre-cooked and then baked inside a squash It makes the entire house smell good, and is a great comfort food, exactly what you want to eat when faced with saying all these goodbyes. Place the cubed eggplants in a colander and add lots of salt. Let them sit here and “sweat” while you brown the other vegetables. 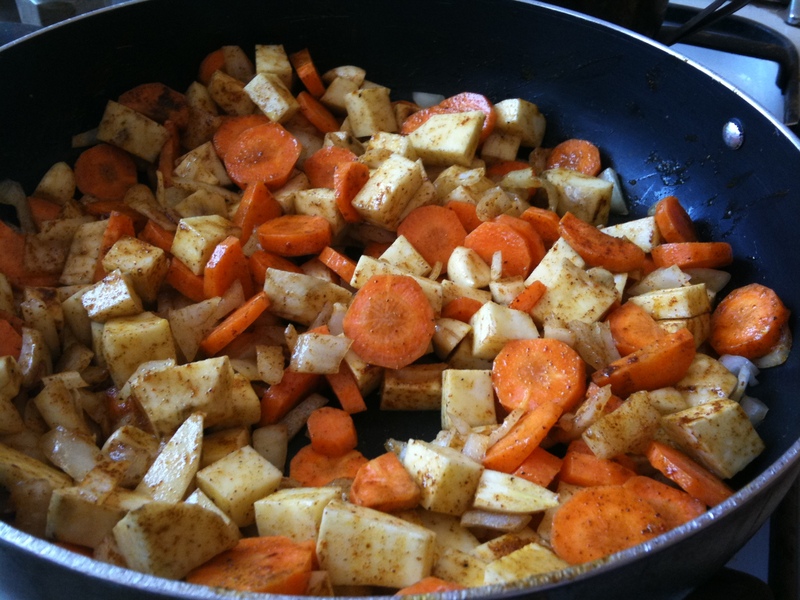 In the meantime, sautee the onions, carrots, garlic, and sweet potatoes, until almost soft (about 10 minutes). Stir in half of all the spices. When the veggies are almost soft, add the eggplant and cook until semi-translucent and the vegetables are soft, about 20 minutes. During this time add some more oil if vegetables start to stick, and be careful not to overcook the vegetables. Add a 32-oz can of tomatoes and some more salt. Let the tomatoes break down and add the remaining spices, about ten more minutes. Here I would probably also add a small spoonful of honey. While the tagine is simmering, cook 1/4 cup of heaping lentils in 3 cups of veggie broth. When the lentils are just cooked, but not mushy and there is about 1 cup or a bit more of veggie broth left the lentils are done. Add this to the completely cooked stew above. Also while the tagine cooks, prepare the squash. Cut the top of the squash until you have a hole to put the tagine in, and the top should fit back in this hole. Then scrape out all of the goo. Next, rub olive oil on the inside, outside, and on the tray. Preheat the oven to 35o degrees. 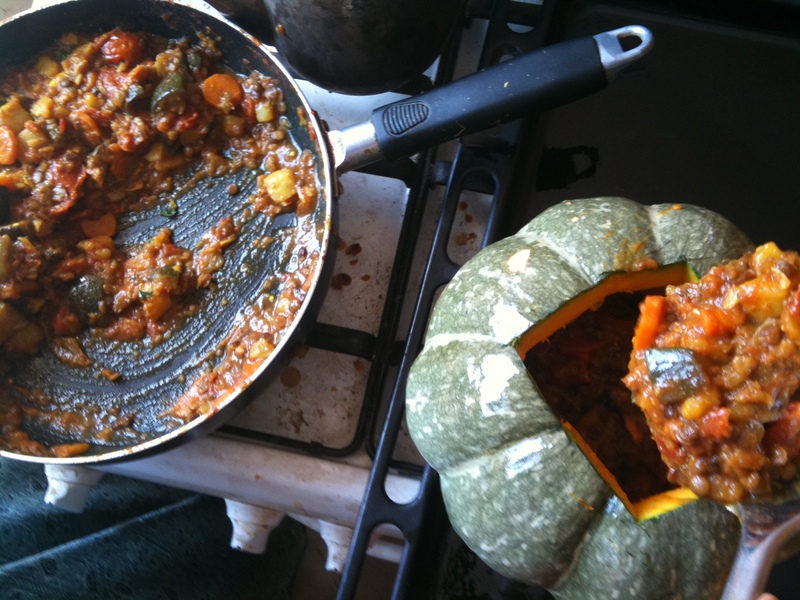 Ladle the stew into the prepared squash and put the squash lid on. Cook until the squash is soft (about 3 hours). To shorten the cook time, next time I will try this at 375 degrees. It would also take less time with a smaller squash. 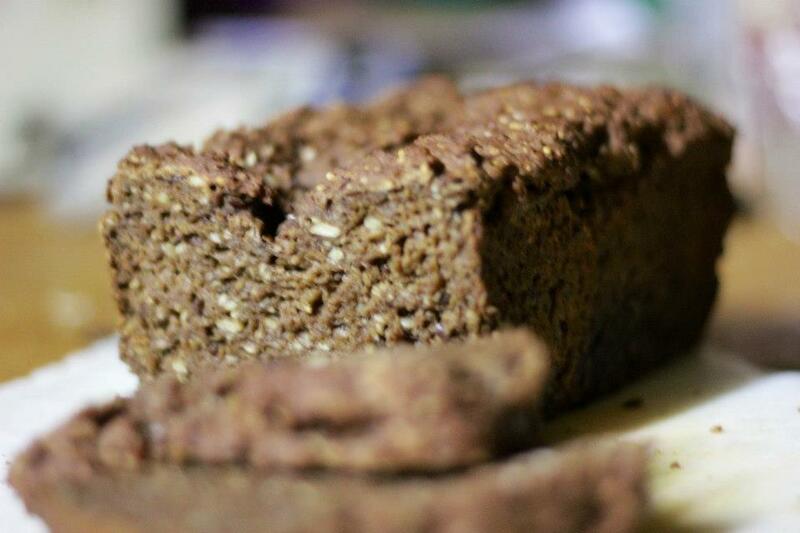 Note: the overflow from the soup that falls out during baking would taste wonderful on some home-made bread. 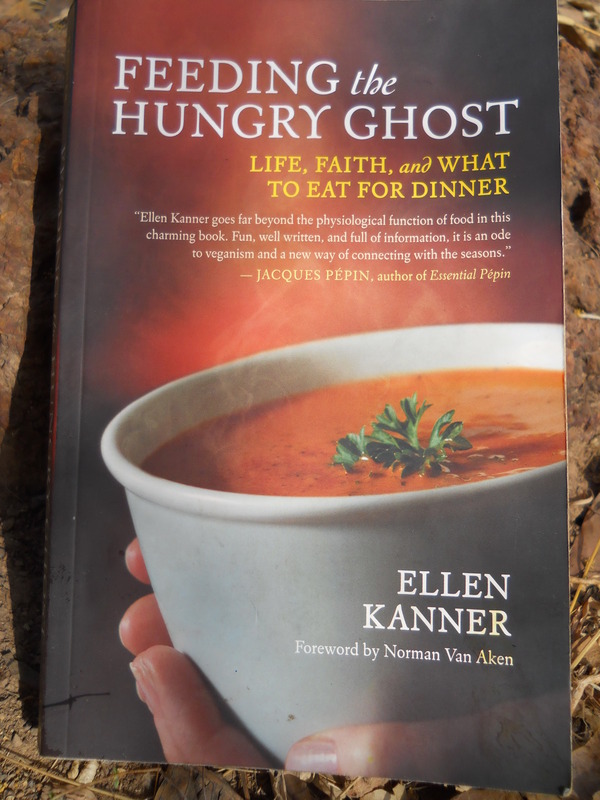 Recently, New World Library sent me a free review copy of Feeding the Hungry Ghost By Ellen Kanner. Reading through this book I was inspired by her Veggie Bhaji. It used all the ingredients I normally cook with here in Senegal, but sounded like it would taste different from my normal (I’m always looking for novelty). Going off this, I decided to make it a valentine’s day event – this seemed appropriate since a repeated theme in her memoir-style cookbook is that of love and cooking for those that you love. 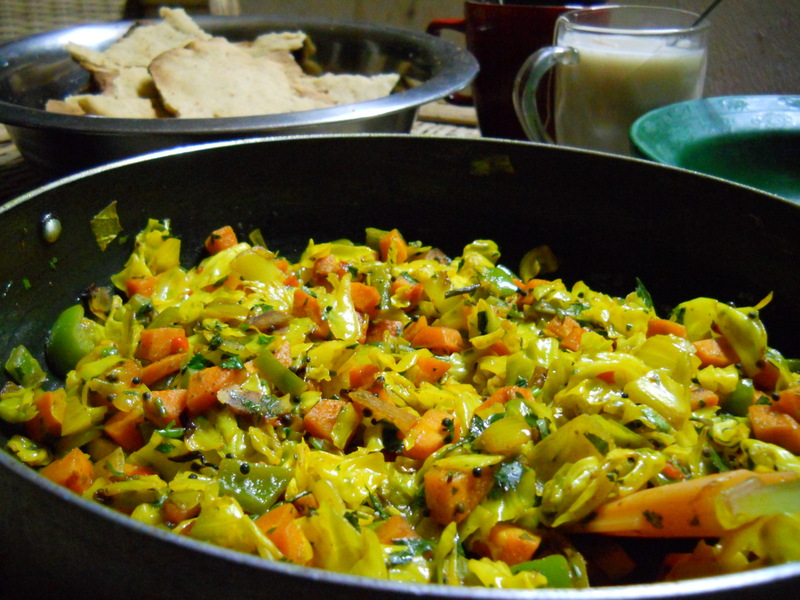 Here’s what we made: simple daahl, Kanner’s veggie bhaji, flat bread and spiked chai. Oh man, I don’t think I could have envisioned a more perfect meal for what capped off a perfect day. Really, the way the hearty and slightly sweet daahl complemented the fresh slightly spicy vegetables and came together on a slice of warm flat bread was perfection. The spiked chai came from some vanilla Smirnoff vodka a friend had brought back from the U.S. We mixed 2 tablespoons of Smirnoff with coconut milk and then poured in the chai (made from a tea bag). I added some sweetener to mine, Rachel had hers without and we were both in love. Sadly I didn’t measure amounts, but it is fairly forgiving to make. Put lentils in a pot and add a lot of water (or veggie broth). You are going to want at least twice the amount of water to lentils, if not more. Add the cinnamon stick and bring to a boil and then cook covered at a low boil until lentils are very mushy. If you start to run out of liquid add more, if you have too much liquid and your lentils are getting mushy take of the lid and let the water boil off. Salt and pepper to taste. Shred the onions cabbage and carrots. In a large skillet, heat the oil over high heat. Add the mustard seeds. Cook with a lid and cook until the mustard seeds pop, about one minute. Uncover the skillet, reduce the heat to medium, and add the cumin, turmeric, and coconut (if using). Cook, stirring often, until the spices start to toast and the mixture becomes fragrant, about one minute. Add the confetti of vegetables to the skillet and stir together over medium heat. Add the sliced red peppers and minced jalapeno to the skillet and cook, stirring occasionally, until the vegetables soften, about ten minutes. Stir in the lemon juice and cilantro. Season with sea salt. For the flat bread I used Pamela’s Gluten Free Bread Mix and followed the instructions for baking her pizza crust. However I never added the pizza toppings (-; While I don’t love this bread mix for bread, I think it makes amazing pizza crust and flat breads. 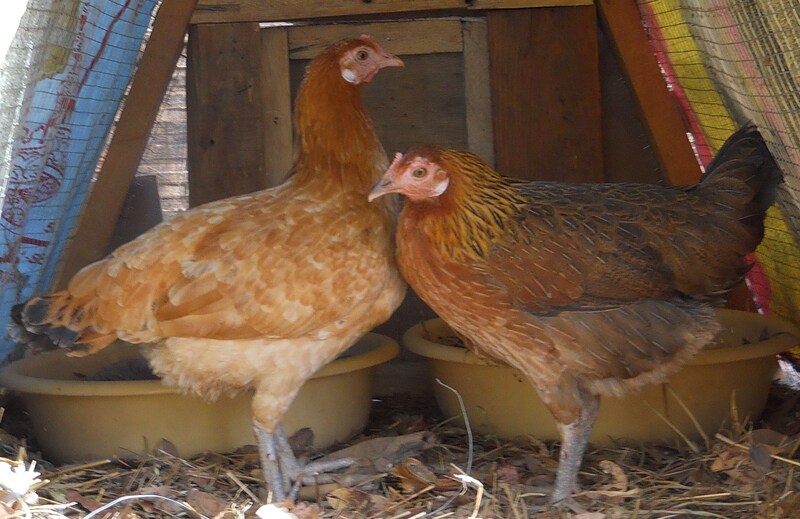 For my birthday, Rachel bought me two female chickens: Rhianna (right) and Adele (left). She got them in the market from a Pulaar man who brought them from his village to sell as food. For now, they have a three month reprieve while they live with us. When I leave I will give them to my closest friends here and hope they can join their flock. 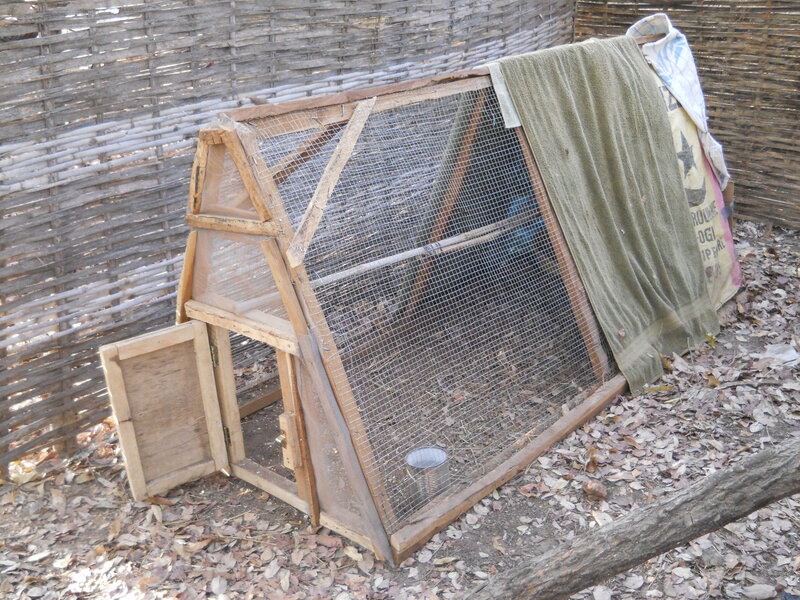 She also got this great chicken coop in built. It doesn’t have a bottom, so we can move it to different places in the yard when it starts to get dirty. We’ve covered the back area to provide them with a dark space to make them feel safe (this is where we put their nesting boxes). Since reading Farm City (an amazing book) I have been yearning to raise chickens, and I’m so excited to finally have the chance! I don’t know much about it at all, but after talking to friends and advice from the internet, I am slowly finding my way. Our first week with the chickens we kept them in the coop to teach them where their new home is. Now, I let them out every afternoon (or all day if I’m home) and let them forage for bugs. It is very peaceful to watch them scratch, fly, and cluck all day long. Getting them in at night was quite difficult at first (we have some scratches from the barbed wire fence), but becomes easier each time we do it. Although these ladies are able to forage for their food, I want to provide them with the best nutrition possible. I can’t buy commercial chicken feed where I live, so I’ve made up a concoction that I put in their house in the morning and evenings. I’ve been told if I burn old bones (fish bones for example) and pound them into a powder I could add it to this feed and they would be getting all the nutrients they need. I have yet to try this, but hopefully will in the coming weeks. 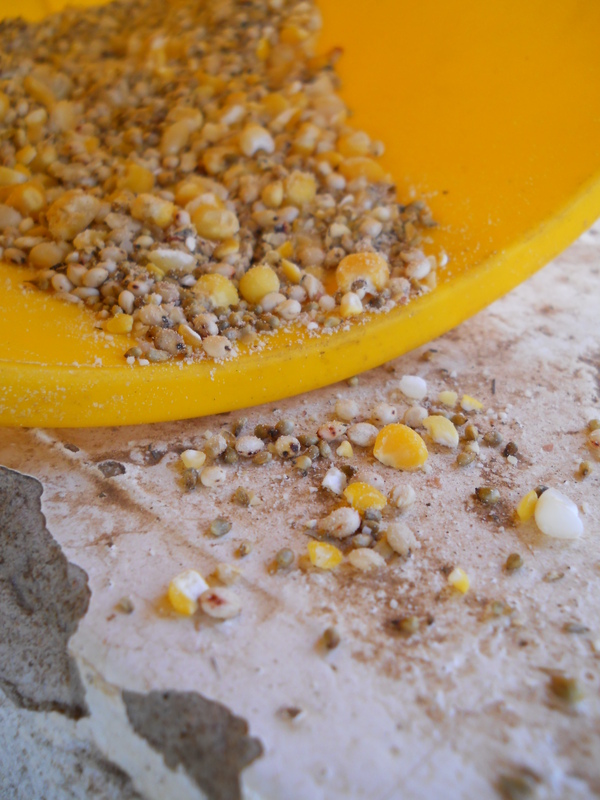 In the meantime I am throwing them lots of kitchen scraps (carrot peels are their favorite), and treats (popcorn and watermelon), in addition to this “chicken feed” (see below). Combine in bucket – will last about 1 week. Chickens are great fun and I hope you consider having some too! Just make sure you are getting them from a good place. In the U.S. buying chicks commercially can support some awful practices thus I recommend trying to get them from a friend or farm sanctuary. Also make sure you will have enough space for them to be happy and preferably a place to let them roam. Finally think about any animal friends that might become predators — my dog is definitely trying to eat the chickens but we are working through it. If you have any experience with chicken raising please leave some advice in the comments! Note: If these hens lay eggs I intend to eat the eggs however I will not post those recipes on this blog because I would like this to be a strictly vegan space. I believe in eating in the most moral way possible in any situation you encounter. In this situation I believe these eggs make that cut. I do not in any way endorse eating eggs from places where you don’t know or aren’t satisfied with 1. how the hens our treated 2. where the hens come from or 3. what happens to the hens when they are “done laying”. We do not need to eat eggs, but if we do want to eat them let us only do so in a way that respects the animals, the planet, and ourselves. 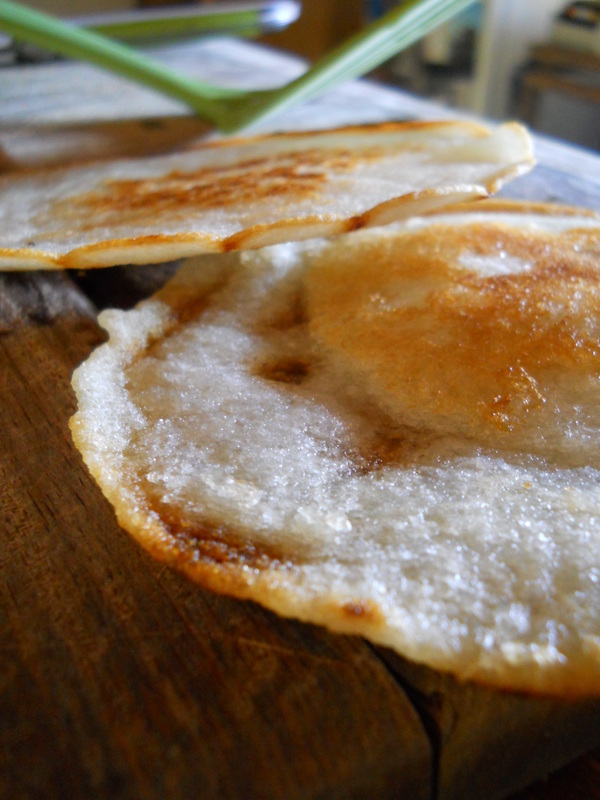 Dosas. How to describe the wonderfulness that is a dosa. Okay, it’s true, I’m completely addicted. If you wanted to take me on a date, you should take me to an Indian place and order me a dosa. I haven’t played around enough to know how to make these from scratch, but the Hypermarche in Dakar has this amazing dosa mix. All you need to do is add water and fry them up. 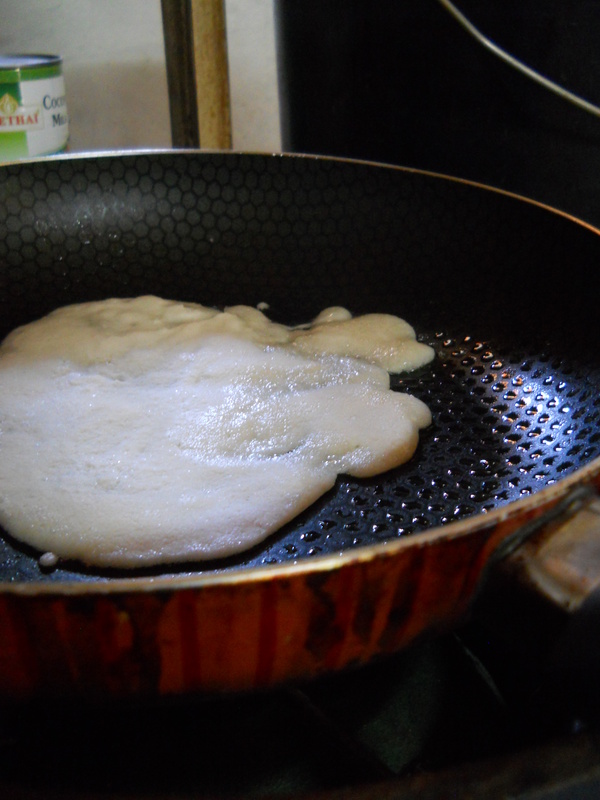 Note: you will need a non-stick pan or at least a good quality pan to do this. I tried it with some of the old stainless steel and used to be non-stick pans at the regional house and it failed miserably. There are so many great ways to eat these! You can fill them with a potato and pea filling, use them as flat-bread to scoop up some lentils, or (because I have no access to corn chips) I have even used them to eat hummus. Honestly, I would be tempted to just snack on them plain. So go to Hypermarche, buy these, and if they are out tell them they need to restock! If you live in Europe, you can buy them online here. Otherwise, check out this store, but it seems a bit pricey?